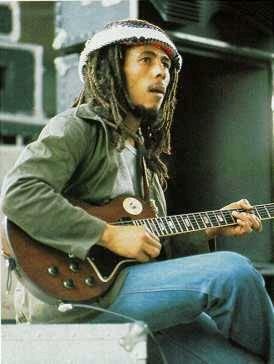 Bob Marley is universally acknowledged as one of the greatest Reggae artists of all time. He combined the sounds and ideas from religious slave spirituals with his own unique Jamaican music to form a legendary musical genre. In "Redemption Song", Marley almost completely steps away from his unique reggae style to sing a plaintive acoustic spiritual song. In this song, Marley sings in the first person, taking on the role of a slave "singing the songs of freedom."